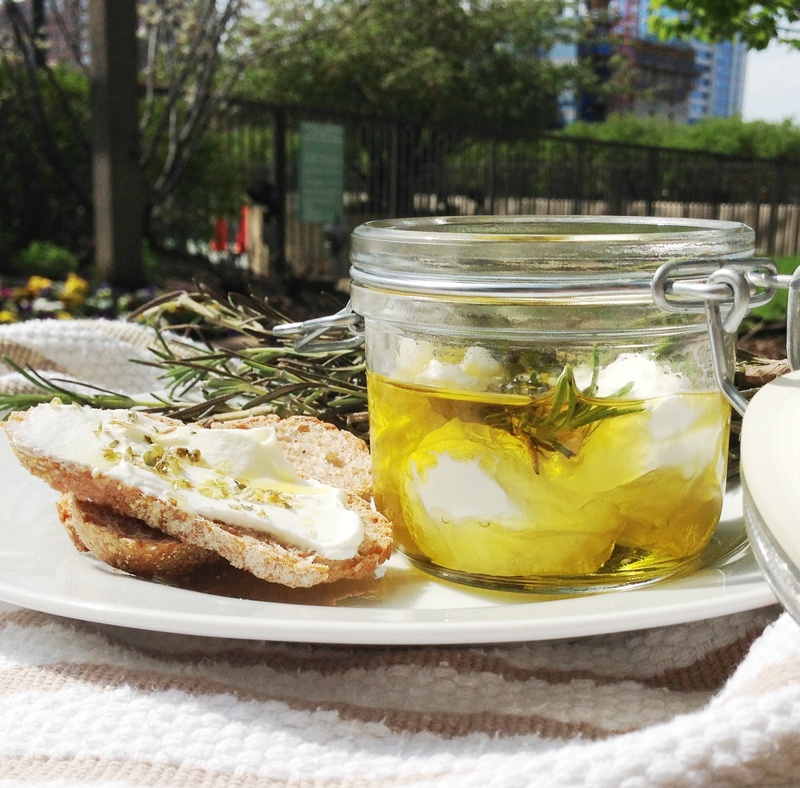 Facts: Labneh is made from strained yogurt. It is the easiest cheese you could possibly make at home. 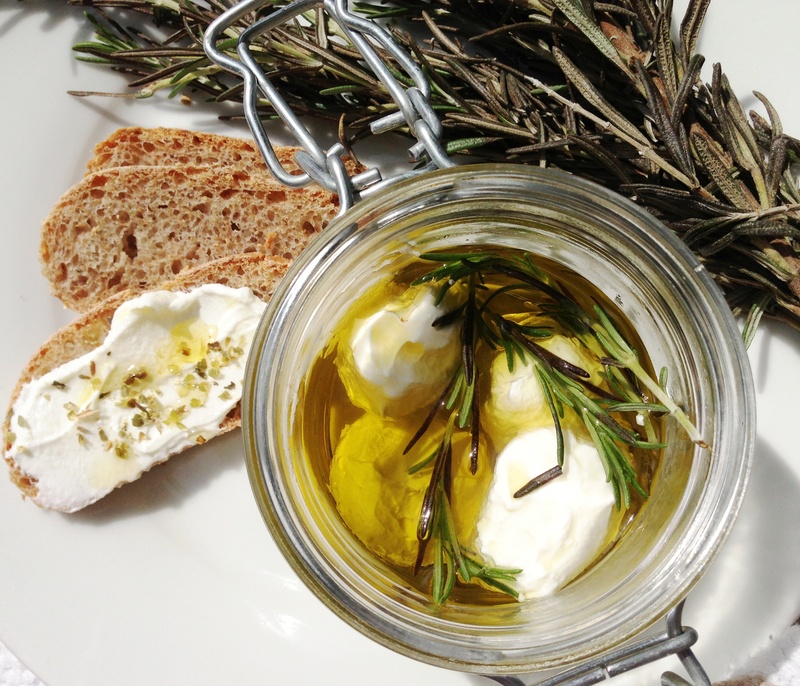 It tastes like a tangy cream cheese but is better for you (the world is a good place). 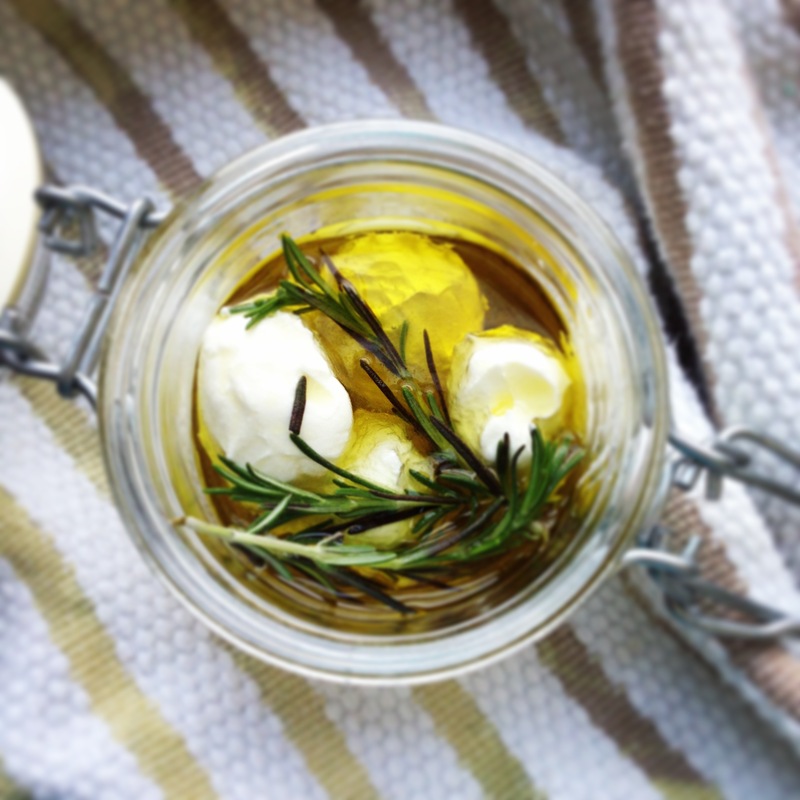 I rolled the labneh into balls and kept in a jar with olive oil and herbs. This will actually keep for up to one year (or one hour in my case). I took out a ball of the cheese and shmeared on toast. Yum. You have to use full fat here. It’s cheese. Line a strainer with a cheesecloth (I used paper towels/not sorry) and place over a large bowl. Stir the yogurt with the salt and pour into the cheese cloth. Some people simply fold the remaining cheese cloth over or tie the cheese cloth with a string. Let the yogurt drain in the fridge for 24 hours (you can go less or longer depending on how thick you want the cheese). Remove from the cloth and store if you are not making the labneh balls. Make sure your labneh is on the thicker side. Let drain longer if it seems too thin. 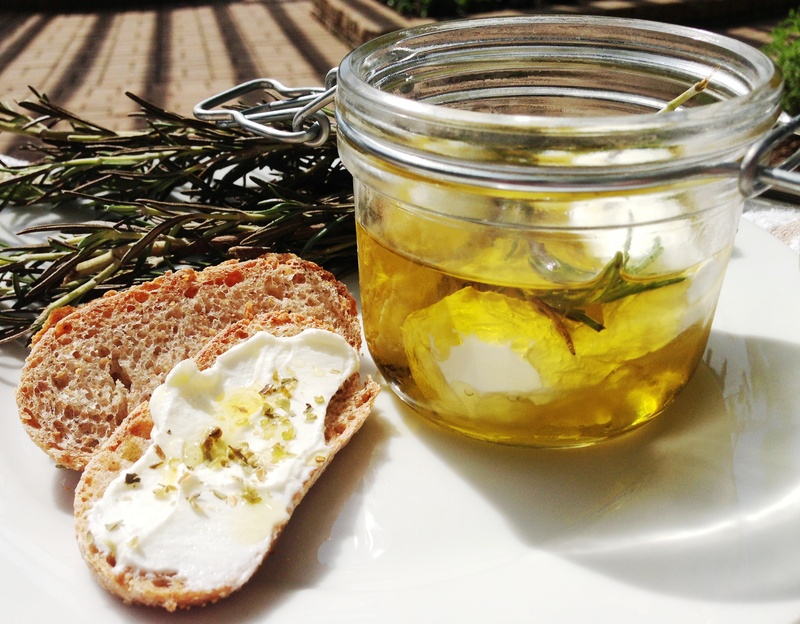 Lightly oil your hands and take a tablespoon of the labneh. Roll into a ball and drop into a jar. 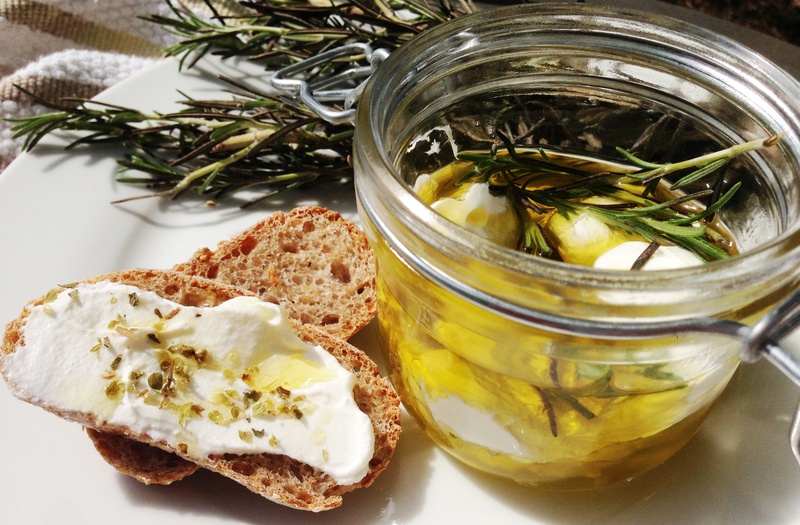 Repeat until the jar is full and cover with olive oil. Add any flavorings you like (I added rosemary). The labneh can be hard to work with- don’t worry if it doesn’t look perfect… it’s cheese… it will taste great no matter what. Thanks for the recipe; I’m going to try it out this evening. It will be wonderful to have something new to try for Memorial Day!